In March of 1999 spiriritual teacher and musician Sri Chinmoy visited Slovakia, the Czech Republic and Hungary and participated in ceremonies, inaugurating these countries as “Sri Chinmoy Peace – Blossom Nations”. They are part of an international program dedicating sites and places to peace. Filmed and edited by kedarvideo, Switzerland. Highlights of Sri Chinmoy’s April Celebrations 1995, entitled 31 years in the West. Walking meditations, meditation close-ups, a poetry recitation, singing with harmonium as well as the opening ceremony of the “Sri Chinmoy Oneness-Home Peace Run” in Manhatten, including speeches by invited guests, a performance by singer Addwitiya Roberta Flack and Sri Chinmoy blessing the torch. Filmed by kedarvideo, Switzerland. Meditation close-ups, soulful songs, among them the performance of the “longest song” are the highlights of the 1995 Birthday Celebration of Sri Chinmoy in Queens, New York. Filmed and edited by Kedar Misani. For those of you you are interested in numerology, the video has a length of 1:27:07 h and the running number on vimeo is 188888868 ! The 1998 August Celebration focused on commemorating the death of Sri Chinmoy’s brother Chitta with various soulful activities and meditations. 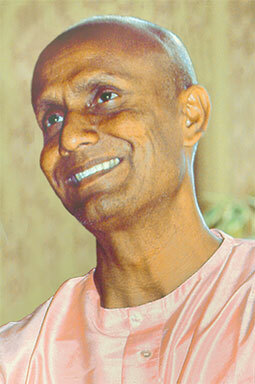 Sri Chinmoy recites his series of special poems entitled “Please do not forget”. Sudhahota, Narada and Premik are presenting their birthday song and the African disciples perform. Filmed and edited by Kedar Misani, Switzerland. In this new video, published on srichinmoy.tv, Kailash Beyer talks about what he understands by the concept of self-transcendence; he explains how self-transcendence is the process of going deeper in meditation and understanding more about our real nature. Kailash also explains how sport can help us to practise a form of self-transcendence that can be then used in other areas of life. Self-transcendence is a term Sri Chinmoy often used to describe both spiritual and physical efforts to go beyond our current limits. Kailash Beyer is one of the first European disciples and based in Zurich, Switzerland. If you speak German you may also be interested in watching a talk he gave in Zurich a couple of years ago, linked here. What can individuals do to contribute to world peace? Question: When problems seem so huge and individuals seem so small, when problems seem to be able to be solved only on a very large scale, by large-scale intervention by governments, what can individuals do to contribute to world peace? Sri Chinmoy: Problems can be found everywhere — in each individual, in each government and in each organisation. When it comes to solving world problems, ordinary individuals like ourselves are helpless. But we are not hopeless. We can hope; in fact, we have every right to hope for the betterment of the world. Although ordinary individuals cannot change the world, there are some great individuals who belong to a different category. The Holy Father and Mother Teresa, for example, are a real source of inspiration to millions and millions of people. Mahatma Gandhi was in politics; then he went beyond politics and became the father of India. How significantly he advised and illumined Nehru, Patel and others! President Gorbachev also has shown us how one individual can change the face and fate of mankind. He is living proof that an individual can be stronger than a government. So we see what great individuals are able to do. Again, although ordinary individuals are helpless, we have to know that we have access to a higher power that is infinitely stronger than any organisation or government. This power, which is within us, is the absolute highest Power. We call Him the Inner Pilot, the Absolute Lord Supreme. The power that operates through governments or large organisations can easily be conquered by this highest absolute Power, which is all-illumining and all-fulfilling. There is God the Creator and God the creation. We are God the creation. But if we pray to God the Creator to change or illumine the minds of those who are running countries or large organisations, then easily He can do it. Right now the mind is ruling the world — the mind that wants to dominate others and lord it over others. But if we pray to God to bring forward the heart of mankind, we will see that heart-power is infinitely stronger than mind-power. Why? Because the heart immediately identifies with others and claims their strength as its own. If ten people are on one side, what can one strong individual do? Eventually he has to surrender, no matter how strong he is. This is true whether it is an individual, a government or an organisation because oneness-power will always eventually win in the battlefield of life. I like so much the seated statue of Sri Chinmoy. It reminds me of the Daibutsu, the great Buddha sculpture situated in Kamakura, Japan. This beautiful picture, taken by Anastasia from Winterthur shows the statue which is temporarily placed in the backyard of the Madal Bal Shop in Winterthur, run by Gunthita. Whenever you are in Zurich, don’t miss the opportunity to see this artwork representing our Guru in such a dignified manner. This video opens with the highlights of a beautiful full moon Open-Air Concert on Staten Island, NY in August 1994. Sri Chinmoy sings and plays on two flutes, keyboards and the harmonium. The second part consists of many unique close-ups of Sri Chinmoy meditating as well as the opening of the actual Birthday Celebration on August 27 in Queens, New York. Filmed and edited by kedarvideo, Switzerland. Photograph by Apaguha Vesely, taken during the Christmas Trip in Turkey in the year 2006/2007.